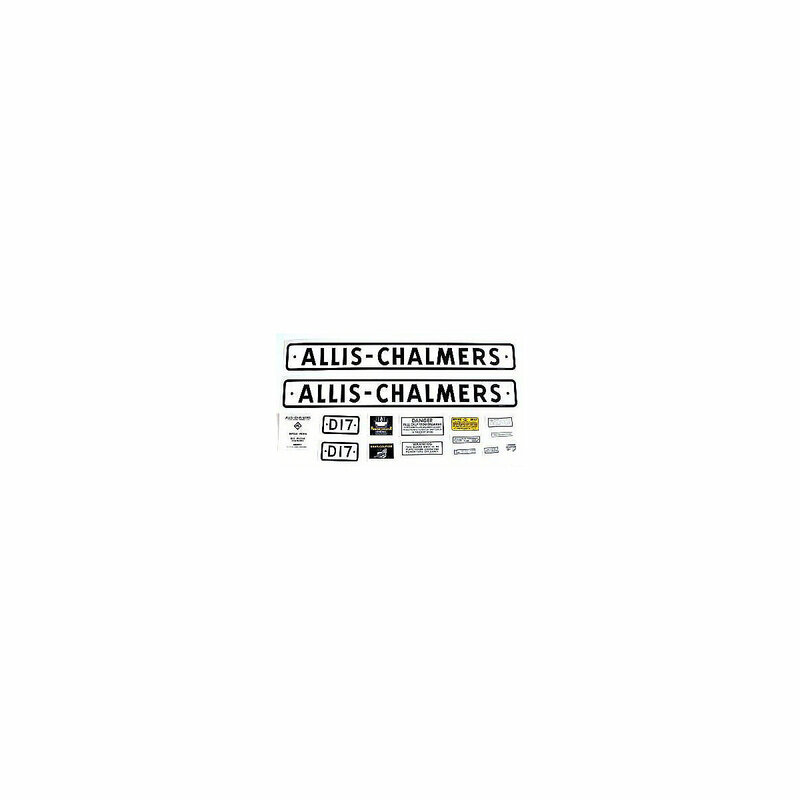 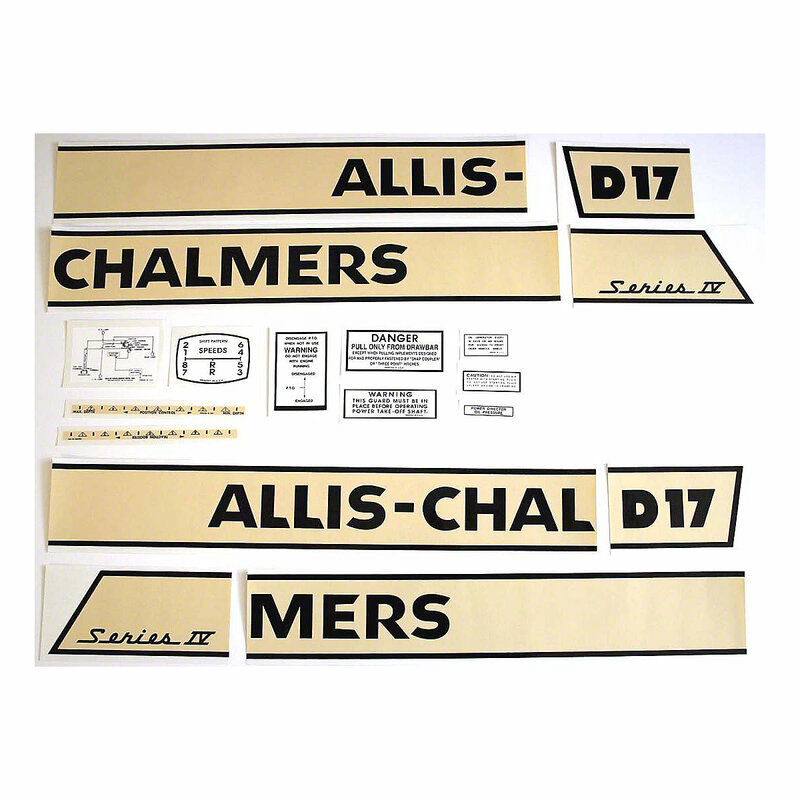 Decal set for allis chalmers d17 iii series gas tractors 1962 to 1964 vinyl onlyD17 model engine(s). 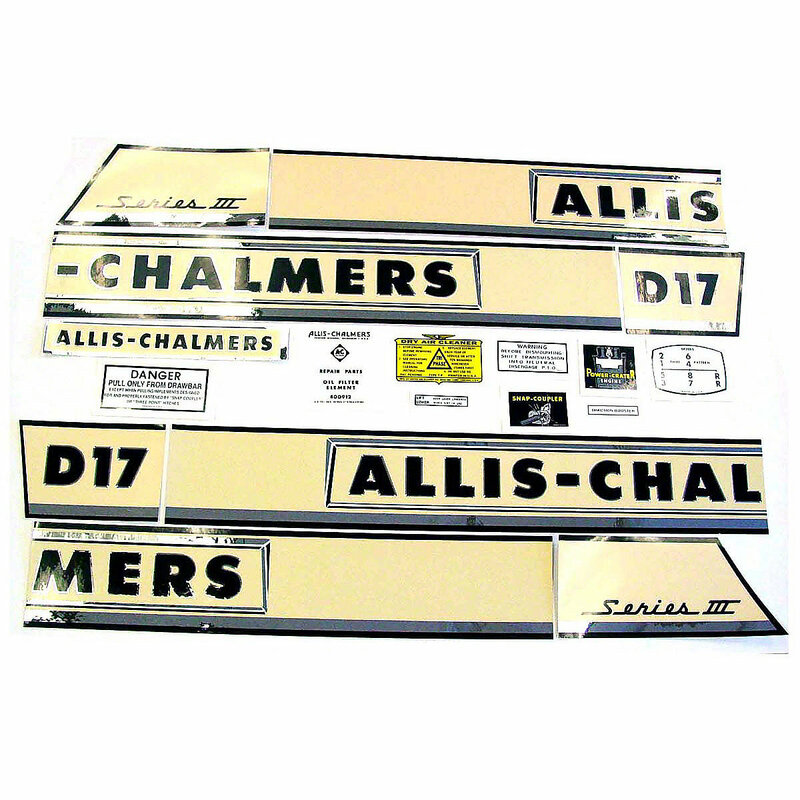 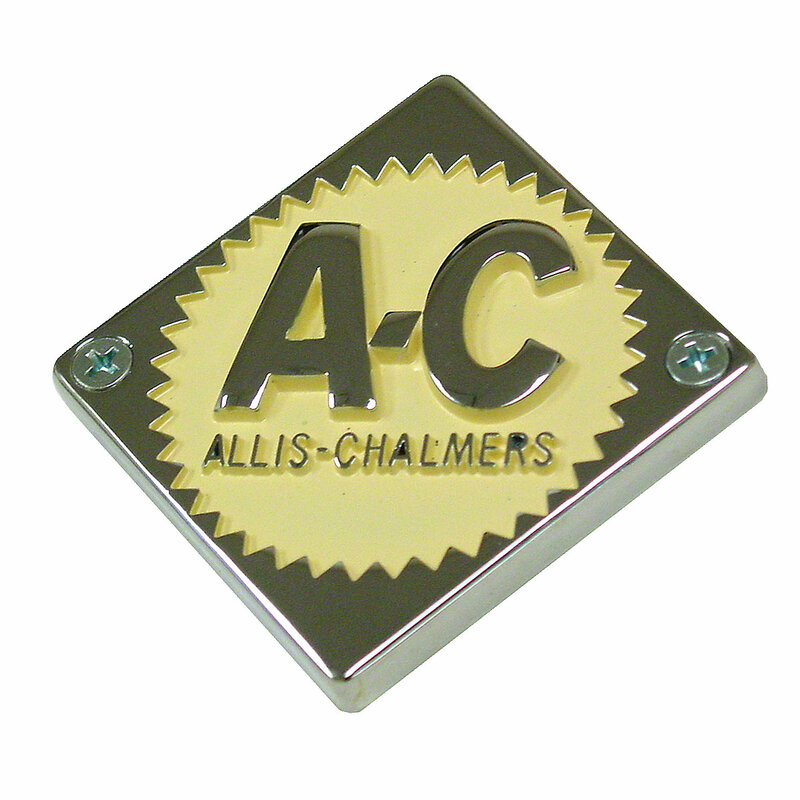 Front Emblem For Allis Chalmers: D10, D12, D15, D17, D21. 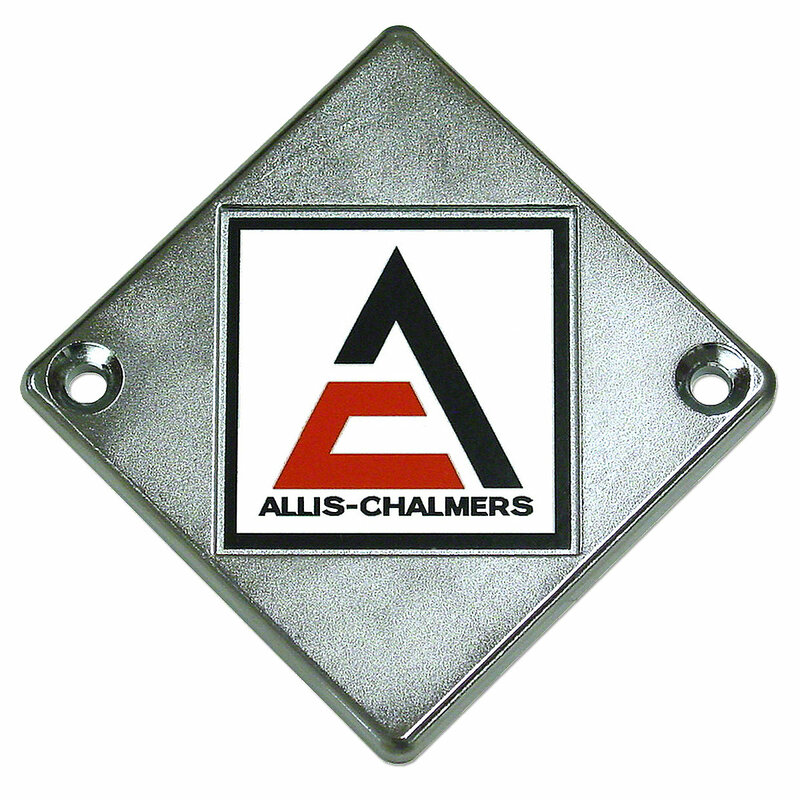 Steering Wheel Or Front Nose Emblem For Allis Chalmers: D10, D12, D14, D15, D19, D21, D17.